We use our tongues all the time to eat, talk, and swallow. Food just wouldn't be the same without a working tongue, but have you ever thought about how this amazing organ does what it does? We have, and we're going to share some of the most interesting facts about your tongue. Tongues are measured from the epiglottis (a flap of cartilage in the mouth at the back of the tongue) to the tip. An adult man's average tongue length is 3.3 inches (8.5 cm), and an adult woman's average tongue length is 3.1 inches (7.9 cm). According to the Guinness World Records, the current title of World's Longest Tongue belongs to an American named Nick Stoeberl, whose tongue measures 3.97 inches (10.1 cm). Your tongue has between 2,000 and 4,000 taste buds. The average adult has between 2,000 to 4,000 taste buds in total. 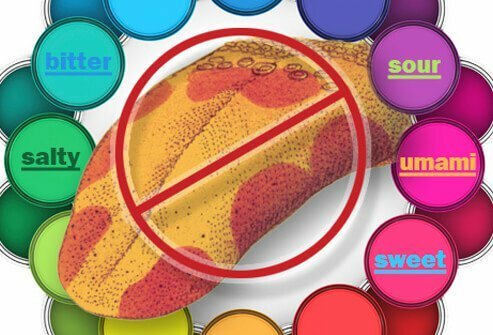 The sensory cells in the taste buds responsible for how we perceive taste renew themselves every week. 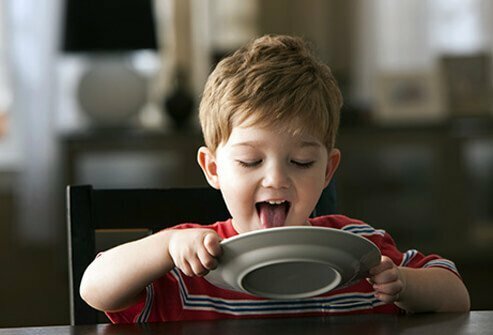 About one-quarter of the population is considered "supertasters," people with a heightened sense of taste, particularly for bitter foods and specifically a bitter compound called 6-n-propylthiouracil (PROP). 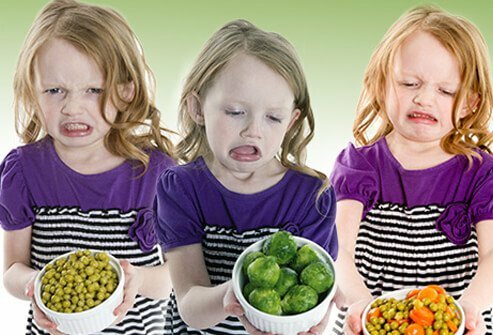 Another quarter is considered "nontasters," who fortunately can taste foods, but are less sensitive and cannot detect the bitter taste of PROP. You can’t see your taste buds. Taste buds not visible to the human eye. 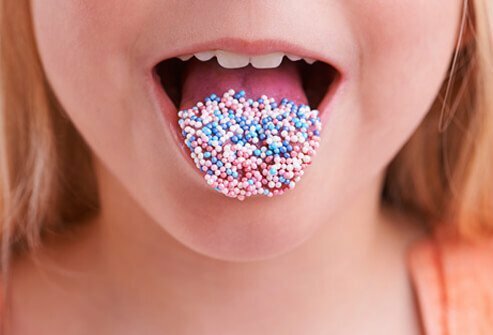 Those little pink and white bumps you do see on your tongue are actually called papillae, hair-like projections that taste buds rest atop. Each has an average of six taste buds buried inside its surface tissue. There are three types of papillae: fungiform, circumvallate, and foliate. Fungiform papillae are most common and are found mostly at the tip of the tongue and at the edges. These papillae cannot be seen with the naked eye. The other two types of papillae are less common but can be seen with the naked eye. Circumvallate papillae are large and found arranged in a V-shape at the back of the tongue, near the throat. There are only 7 to 12 circumvallate papillae, which are round and raised. We also have about 20 foliate papillae on the back edges of the tongue, which are also visible to the naked eye. You have taste buds other places besides your tongue. It's true most taste buds are on your tongue, but there are also taste cells in the back of your throat, on your epiglottis (that flap of cartilage in the mouth at the back of the tongue), your nose and sinuses, all the way down the throat to the upper part of the esophagus. Infants and young children have even more cells that sense taste in the mucous membranes of their lips and cheeks. All these cells send signals to the brain that are converted into what we perceive as taste. You don't sense different tastes in different areas of the tongue. The tongue is not the strongest muscle in your body. The tongue is all muscle, but not just one muscle – it's made up of 8 different muscles that intertwine with each other creating a flexible matrix, much like an elephant's trunk. It's called a muscular hydrostat, and the tongue muscles are the only muscles in the human body that work independently of the skeleton. Your tongue muscles do have amazing stamina and are used constantly for eating, talking, and swallowing. The tongue just never seems to get tired! 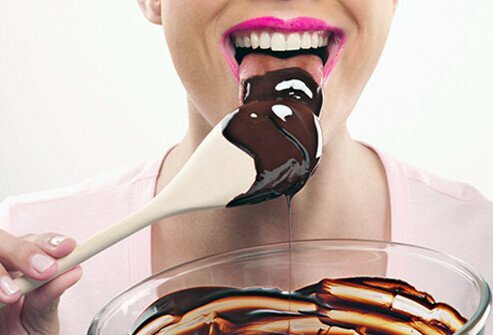 Taste buds are designed to keep us alive. Your tongue can get fat. Your tongue print is as unique as a fingerprint. 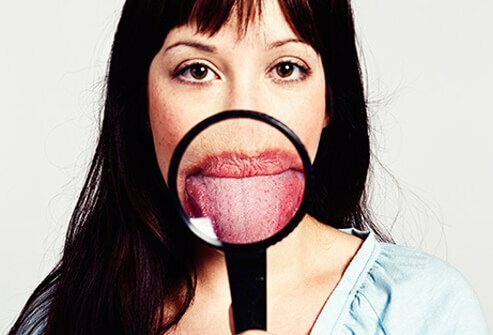 Every person's tongue is unique, and similar to fingerprints some see the potential for the tongue to act as an identify verification tool. The tongue is protected in the mouth and would be difficult to forge, and a person can stick it out for examination. 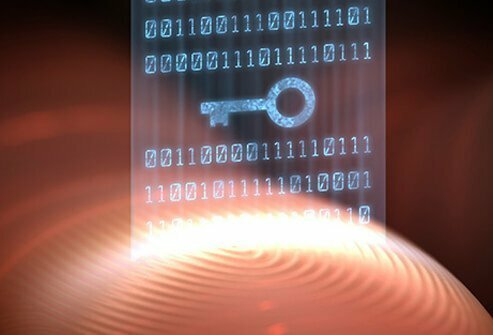 Researchers are working on ways to use the tongue as a biometric authenticator – a reliable way to positively identify a person. Your tongue can say a lot about your health. Your tongue can actually provide clues about your overall health. 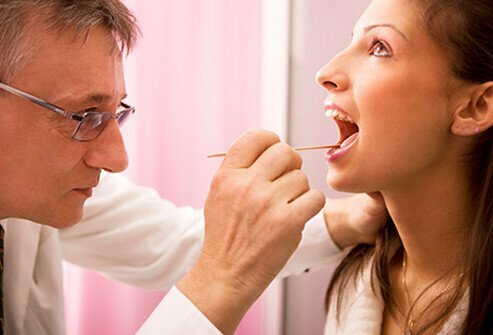 If you have any symptoms or concerns about the appearance of your tongue, see your doctor. Guinness World Records: "Longest Tongue"
International Journal of Computer Applications: "An Extraction and Recognition of Tongue-Print Images for Biometrics Authentication System"
Perelman School of Medicine: "Penn Medicine Study Finds Tongue Fat and Size May Predict Sleep Apnea in Obese Adults"
PubMed Health: "How Does Our Sense of Taste Work?" Sensory Society: "PROP and Taster Status"
Scientific American: "Fact or Fiction? : The Tongue Is the Strongest Muscle in the Body"
The Independent: "Taste Has Nothing to do with the Bumpiness of Your Tongue, Say Scientists"
Toronto Star: "Tongue: Fascinating facts about body parts"
University of Edinburgh Dental School: "Neonatal and Adult Tongue Dimensions"